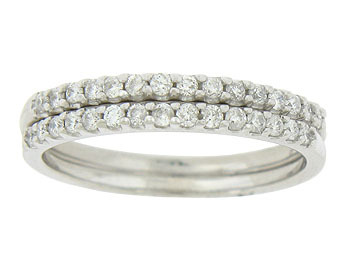 A string of fine faceted diamonds are set into the face of these 14K white gold wedding bands. 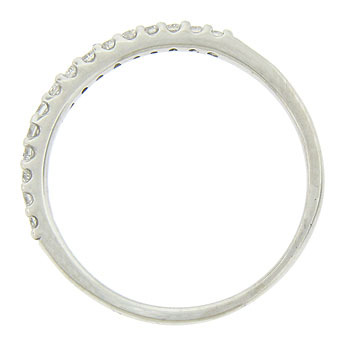 The antique style wedding rings measure 1.78 mm in width. Size 6. We can re-size. 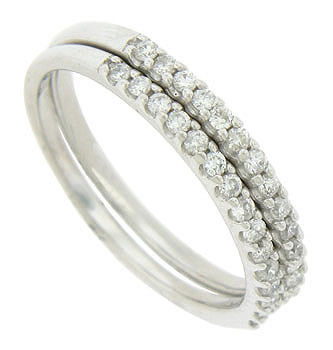 These rings are frequently sold as a pair for $1200, but can be purchased separately.